Ankur was directed by Shyam Benegal and co-starred Shabana Azmi, Sadhu Meher and Priya Tendulkar. Film was made with budget of INR5 lakhs and earned INR1 crore at box office. Film tells the story of son of village landlord coming from city after completion of his education. His father has a mistress and illegitimate son born out of their relationship. Hero is married to a child and now he has to wait few years before consummating marriage. Hero is sexually frustrated and finds it in other woman. Rest of the story is how this illegitimate relationship ends. 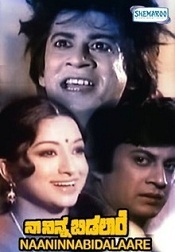 Bayalu Daari was directed by Dorai Bhagwan and co-starred Kalpana, Ashok and K. S. Ashwath. Story of film was based on the novel written by Bharathi Sutha. Naa Ninna Bidalaare was directed by Vijay and co-starred Lakshmi, K. S. Ashwath, Balakrishna and Leelavathi. 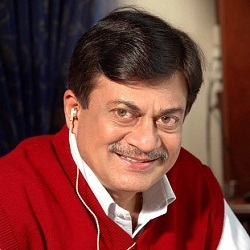 Due to its success it was remade in Hindi as Mangalasutra with Ananth Nag and Rekha. Chandanada Gombe was directed by Dorai Bhagwan and co-starred Lakshmi and Lokesh. Film tells the story of young teacher falling in love with village girl and marrying her. After marriage hero dies in an accident and rest of the story is about social problems commonly faced by widows in India. Minchina Ota was directed by Shankar Nag and co-starred Shankar Nag, Priya Tendulkar, Lokanath and Ramesh Bhat. Film tells the story of three thieves running an automobiles scam. They choose the easy targets on National Highways and steal their vehicles. They dismantle the vehicle and sell it part by part and make pretty good money. Ultimately they were caught by police and imprisoned, in the jail they make a master plan to escape but ended up dying in encounter. Janma Janmada Anubandha was directed by Shankar Nag andco-starred Jayanthi, Shankar Nag and Jaimala. Film is based on the concept of rebirth and eternal love. Benkiya Bale was directed by Dorai Bhagwan and co-starred Lakshmi, Balakrishna, K. S. Ashwath and Vajramuni. 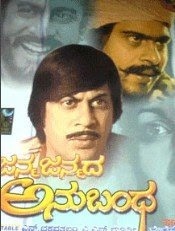 Film was a musical hit and considered as one of the best Kannada hits of all time. 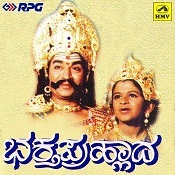 Bhakta Prahlada was directed by Vijay and co-starred Rajkumar, Saritha and Puneeth Rajkumar. Film tells the story of mythological drama of kind Hiranya and his son Prahlada. Son is devotee of lord Vishnu and father is ardent enemy of Vishnu. Rest of story is how son’s love for lord Vishnu gives his father salvation. 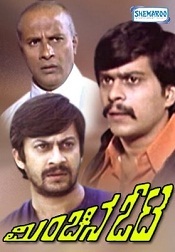 Nodi Swamy Navirodu Hige was directed by Shankar Nag and co-starred Shankar Nag, Ramesh Bhat, Arundhati Nag and Lakshmi. Film song “Bhagyada Laxmi Baramma” was a blockbuster hit. Accident was directed by Shankar Nag and co-starred Shankar Nag, Arundhati Nag and Ramesh Bhat. 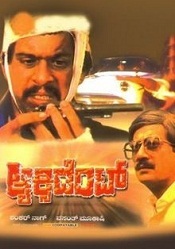 Accident is considered as a landmark in Kannada industry. Film tells the story of young journalist unfolding a crime. One fateful day son of powerful politician runs over pavement dwellers killing many. There is only one witness to the crime and when politician comes to know about this he sends his son to abroad. Journalist and the police officer amassed sufficient evidence against his son. But police officer was transferred and news paper owner refuses to print his story. But politician son dies in an accident, as a justice in hands of god. Ranadheera was directed by V. Ravichandran and co-starred V. Ravichandran, Kushboo, Lokesh and Jaggesh. Film tells the story of young rebel who kidnaps a girl. Later police starting to chase the hero and his gang, rest is how the girl falls in love with the hero. Golmaal Radhakrishna was directed by Sai Prakash and co-starred Vanitha Vasu, Chandrika and Sihi Kahi Chandru. 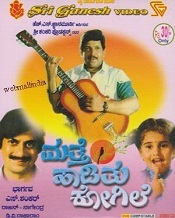 Mathe Haditu Kogile was directed by and co-starred Vishnuvardhan, Bhavya, baby Shamili and Rupini. Ganeshana Maduve was directed by H.S. Phani Ramachandra and co-starred Vinaya Prasad, Anjali, Mukhyamantri Chandru and Ramesh Bhat. Film was a huge commercial hit and considered as one among the best comedies of Kannada. Film tells the story of young couple falling in love with each other without knowing each others’ true identity. Heroine is a singer working in radio station, hero writes admiration letters to her without revealing his true name. But both hero and heroine reside in same apartment and are always fighting for silly reasons. Rest of the story is how they come to know each other and marry. Gauri Ganesha was directed by Phani Ramachandra and co-starred Vinaya Prasad, Mukhyamantri Chandru and Ramesh Bhat. Film tells the story of young trickster who lies to make a living. He admits himself to hospital to get free lodging and food. There he finds the diary of girl who dated three different men and hero uses this opportunity to play with all three men. Now he plots the idea of faking the birth of a child and writes letters to those three men and asks money for bringing him up. Undu Hoda Kondu Hoda was directed by Nagathihalli Chandrashekar and co-starred Tara, Maanu and Tennis Krishna. Film tells the story of young man coming from city introducing himself as cow inspector and cheats the village people. All villagers believe him to be a kind helping person and give him all their saved money. Ondu Cinema Kathe was directed by Phani Ramachandra and co-starred Anjana and Mukhyamantri Chandru. Yarigu Helbedi was directed by Kodlu Ramakrishna and co-starred Vinaya Prasad, Mukhyamantri Chandru and Vaishali Kasaravalli. Film tells the story of gullible housewives who were cheated by smart young man. He promises to get real estate property for each one of them but end up buying one for himself. Kurigalu Saar Kurigalu was directed by Rajendra Singh Babu and co-starred Ramesh Aravind, S. Narayan, Mohan and Bhavana. Film tells the story of three sincere men working hard to earn money. They decide to help the old man with his problems and win his heart. Preethi Prema Pranaya was directed by Kavitha Lankesh and co-starred Bharathi Vishnuvardhan, Anu Prabhakar, Prakash Raj and Bhavana. Film tells the story of aged man who is a doctor by profession, he has two sons and two daughter in laws and a grandson. He feels lonely in his life and one day he meets a widower and falls in love. Rest of the story is how he faces his family members and society, he believes in the principle that every living being is entitled to love and be loved by someone else. 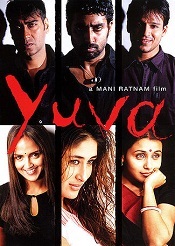 Yuva was directed by Mani Ratnam and co-starred Ajay Devgn, Rani Mukerji, Abhishek Bachchan, Vivek Oberoi, Kareena Kapoor and Esha Deol. Film was made with budget of INR120 million and earned INR172.5 million at box office. Film tells the story of three young men who are from different cultures of society and how one major incident changes their lives forever. Nenapirali was directed by Rathnaja and co-starred Prem Kumar, Vidya Venkatesh and Varsha. Film tells the story of two friends who decide to play a love game to convince their parents. Son of industrialist is in love with a girl but they fear that their parents may disapprove their love. Hence they plan that girl should fall in love with a wrong guy first and when the parents compare that wrong guy to her actual lover they will happily agree to the marriage. Hence the couple invite his friend to act as lover. But after their marriage her husband dies and widow develops feelings for her old fake boy friend. Mungaru Male was directed by Yogaraj Bhat and co-starred Ganesh and Pooja Gandhi. Film was made with budget of INR 90 Lakhs and earned INR75 Crores at box office. Film tells the story of young carefree guy falling in love with a girl who is already engaged. He later finds out that his dream girl is none other than his mother’s best friend’s daughter. Her father is a retired military man and wants her to marry a military man who saved his life. Rest of the story is how hero sacrifices his own love in order to make her parents happy. Gaalipata was directed by Yogaraj Bhat and co-starred Ganesh, Daisy Bopanna, Diganth and Bhavana Rao. Film tells the story of three young men who fall in love with three girls. One of the girl is widow and she hesitates to accept his love and rest of story is how hero convinces her for the marriage. Aramane was directed by Nagashekhar and co-starred by Ganesh, Roma, Avinash and Tara. Film tells the story of young man who tries to help a rich and drunkard aged man. Taj Mahal was directed by R. Chandru and co-starred Ajay Rao, Pooja Gandhi and Rangayana Raghu. Film was a hit and celebrated 150-day run in Karnataka. Eradane Maduve was directed by Dinesh Baboo and co-starred Suhasini Maniratnam, Tara and Jennifer Kotwal. Film tells the story of senior government officer who is suspended from service. His wife is of dominant nature and his daughters are carefree girls. He decides to teach his wife a lesson by acting as if he is in love with a young girl and wife also wants to take revenge by acting as if she is in love with young man. Pancharangi was directed by Yogaraj Bhat and co-starred Diganth and Nidhi Subbaiah. Film tells the story of two family who are separated because of broken marriage. Hero’s brother is an engineer and has no courage to oppose his parents. He is already committed to a girlfriend in USA and because of this alliance is called off. But during these days hero falls in love with a girl in bride’s family. Rest of story is how they win the hearts of their elders. Paramathma was directed by Yogaraj Bhat and co-starred Puneeth Rajkumar, Deepa Sannidhi and Aindrita Ray. Film tells the story of young boy who falls in love with a girl and does anything get her love. He is very intelligent and multi talented person with special skills. Googly was directed by Pawan Wadeyar and co-starred Yash, Kriti Kharbanda and Sadhu Kokila. Film was made with budget of INR40 million and earned INR170 million at box office. Movie turned out to be a Blockbuster hit of the year. Shravani Subramanya was directed by Manju Swaraj and co-starred Ganesh and Amulya. Film was made with budget of INR6 crore and earned INR15 crore at box office. Film tells the story of young singer dreaming about achieving new heights in his career. He falls in love with a girl, role played by Amulya. Gajakesari was directed by Krishna and co-starred Yash, Amulya and Shahbaz Khan. Film was a huge commercial hit earning INR19.25 crore at box office. Film tells the story of young carefree hero who is supposed to take care of Matt in his birth place. But hero denies to be Pontiff of the Matt as he is still in love with his worldly affairs. But elders advise him to donate an elephant if he doesn’t want to be Pontiff. Hence he goes into forest finding an elephant for the Matt. Rest of the story is how he fights the antagonists in the forest and restores peace among tribal people.